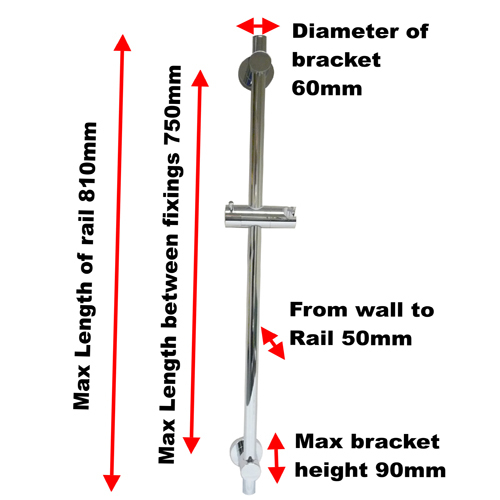 The new Extra Long 800mm Croydex Riser Rails hold your Shower Hose and Head firmly when showering. 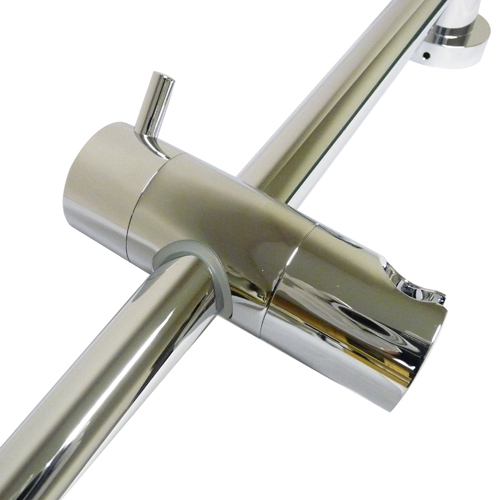 These beautifully designed chrome plated riser rails are very easy to fit, stunning in design and won't break the bank either. 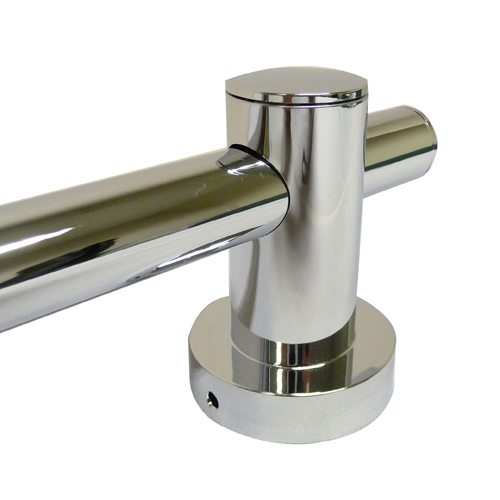 Depending on what style of bathroom you have, here at Byretech we have easily the widest selection of riser rails to suit your needs. 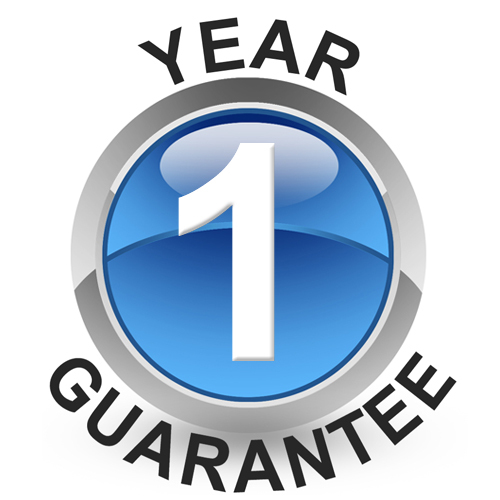 Guaranteed ! 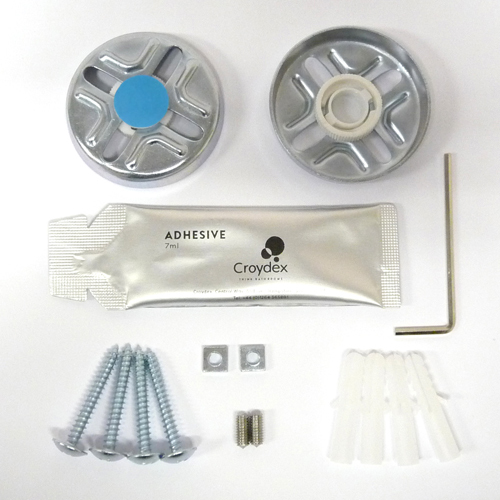 This Riser Rail in Chrome, can utilise your existing screw holes or be fitted secureley using Croydex's glue in place system (no drilling the tiles) or by traditional screws and raw plugs- All supplied in this easy to install kit. Have you a question about our Extra Long Riser Rails ? Not sure on which one would work best in your bathroom ? 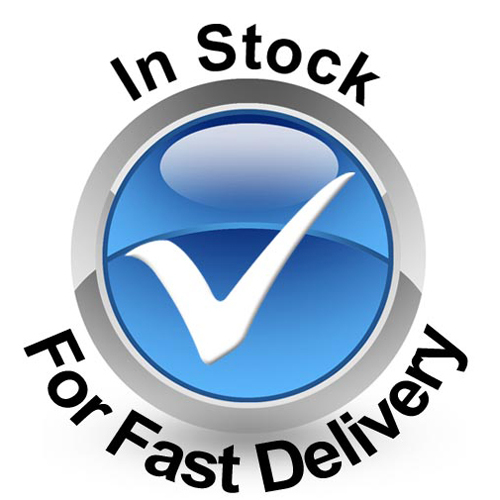 No problems, just call us on 01527 522 522 to discus your application and ask for Simon the Riser Rail Man ! 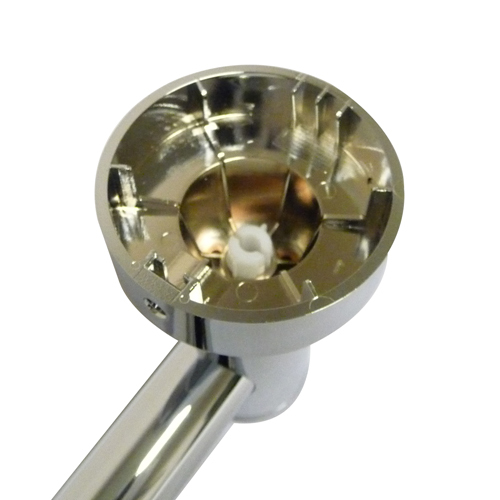 - Bracket Diameter is 60mm with a single / dual screw / glue in place fixing.